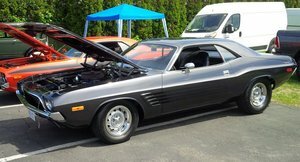 The Dodge Challenger was conceived in 1970 as a "challenge" to the Mustang and Camaro. Picking up the rear of the pony car genre, The Challenger was available as a two-door in either a hardtop coupe or a convertible body design out of the gate. The production of the Challenger continues today, and the Classic Dodge Challenger models are coveted collector cars. 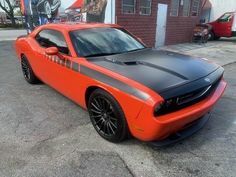 Find your own Vintage Dodge Challenger for sale here at OldCarOnline.com.